Should You Accept a Counteroffer? What is a counteroffer? When should you expect a counteroffer in your job search? All in this episode of Abacus. Let’s Go! Why are counteroffers becoming more common? When should you expect a counteroffer? How to be prepared for a potential counteroffer. Are counter-offers more common for high level employees? The conversations you should have with your boss before your job search if you think a counteroffer could happen. Should you ever get another offer just to negotiate a raise? Bob the CPA: This is Abacus. I’m Bob the CPA. My guest today is Beth Weir, and we’re going to be talking all things counteroffers. We’ll talk about when in the job search process counteroffers usually occur, give you a few questions you should ask yourself to decide if taking a counter offer is the right move for you, and we’ll talk about some bad advice that people sometimes give that involves getting another offer to play hardball with your boss for a raise. All this and more coming up on this episode of Abacus. Let’s go. 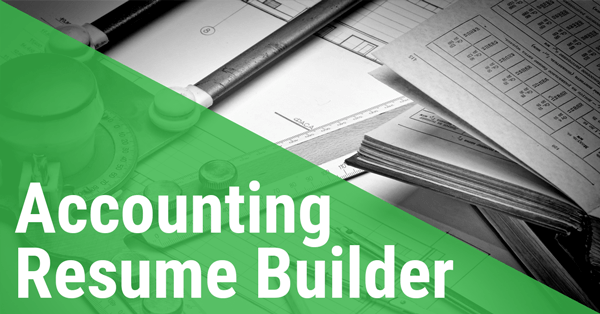 Voiceover: Learn everything you need to know to have a successful and fulfilling accounting career, whether you’re on the partner track, or you’re making your own path, this is Abacus. 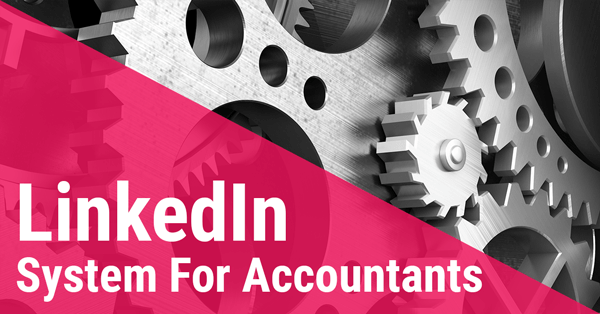 Bob the CPA: Welcome back to another episode of The Abacus Show where I bring together some of the smartest people I know to share their experience to help you become a top performer, and help you plan your career. My guest today is Beth Weir. 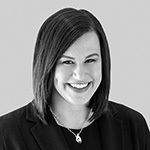 She’s a recruiting manager at Baker Tilly Search & Staffing in Milwaukee. Over the summer, I had the good fortune to meet a few members of the team over there. 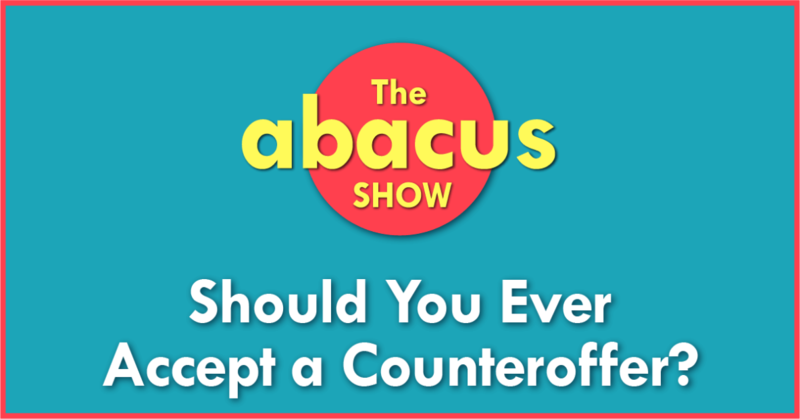 One of the topics that came up is counteroffers, so I asked Beth if she would be willing to come on the show and help us better understand what a counteroffer is, and when, if ever, it’s a good idea to take a counter offer. We tried our best to keep it short and sweet for you guys, and I gotta say, if you’re looking for a job right now, or you will be in the future, this is really a topic you should get to know. As always you can get a summary to everything we talk about today, and get some links in the show notes over at AbacusShow.com/208. That’s enough from me. Let’s jump right into the interview with Beth Weir. Beth, welcome to the show. Beth Weir: Thank you. Thanks for having me. Bob the CPA: Today we’re going to be talking real briefly about counteroffers but before we get into that, I was kind of hoping you would run us through the process of actually working with a recruiter. When somebody calls you and asks you, how does this work? What do you usually tell them. Beth Weir: Sure, absolutely. I like to give a background on our team and the way that we function. I have only been a part of Baker Tilly Search & Staffing as a recruiter, so I can only speak to the way that it works with our team. I actually was recruited. That’s how I got into recruiting. My background is accounting and finance. I was an auditor in a public accounting firm. Actually in internal auditor, and so I got recruited. I have an interesting perspective of both sides here, now being as a recruiter. When somebody calls me and we start the process of working together, what you can expect from me is I like to meet everybody in person. Typically that’s the way our team functions. We have both perm and temp services. I work on the permanent or direct hire side, and we have five other folks that also meet candidates and work with clients. We try to meet everybody in person. We focus on the local Milwaukee market. We do have offices in Madison, Minneapolis, Appleton, and Chicago, so all of us function relatively the same in that sense. When we meet you in person, we really want to get to know what have you done so far? Why are you looking, and what are you hoping to do next, because I want to focus on making the right match for both my candidates and my clients. Once we kind of have that idea, we’ll talk about opportunities that we have right now that would make sense, or we keep you in mind going forward. Typically we only will call or reach out when we have something that’s really interesting, or that we think is going to be a really good fit for you, and we’ll talk through all the details on that specific opportunity, If it is interesting enough to you and you want to move forward, then we’ll get you in process, put you in front of the client. That’s when we share resumes. We don’t share your resumes until you give us permission, and so we very expressly ask that, at that point. 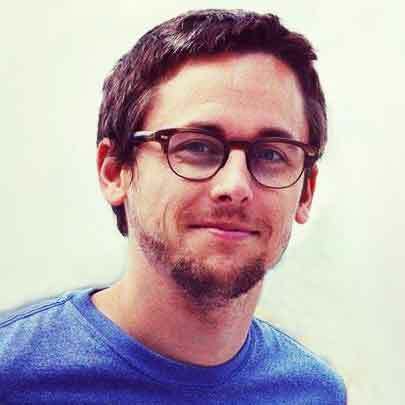 Once you’re in front of the client, we get feedback, either yes they want to meet you, or no. Then we try and find out why not. Then we’ll help through the whole interviewing process, all the way up to offers and negotiation, we like to help through that whole process. I know it can be a little bit awkward doing the back and forth, so we do that for you. Hopefully get a very strong first offer so you don’t have to do the back and forth, and everybody’s happy to move forward. We’ll stay in touch through getting started in your new role, and then we like to check in a couple times in the first six months that you’re there, and then keep in touch from there. Bob the CPA: I’m guessing, just from my experience, I would assume the counteroffers would come sometime in between when you’ve gotten your first offer, and when you start. Is that generally what you see? Beth Weir: Yes, exactly. Depending on the market, and the way that things were when I started in Search & Staffing, that was in 2011, and we were still coming out of the recession, we didn’t see a whole lot of counteroffers at that point, because there were a lot more people looking for jobs, than there were jobs available. When things kind of changed, probably about 18 to 24 months ago, the market started doing a lot better, and so we saw a lot more counteroffer activity. It certainly happens when you’re a valued employee, and they don’t want to see you go, that conversation comes up, usually when you’re giving notice. Bob the CPA: Does that usually come up for, you mentioned valued employee, does that usually mean more senior people or does this happen at every level. Beth Weir: Counteroffers can happen at any level and in any organization. Typically, we would see it where you’re a very valued member of the team, or maybe they’re short staffed, and it’s going to be really difficult to lose this person, because from an employer’s standpoint, it’s not an ideal situation to be making a counteroffer. Typically what I counsel my candidates on, is if you think that there’s any possibility of that happening, we want to talk about it before we get to an offer in hand. Because it’s not a super comfortable situation, if you think about it. I always tell all my candidates too, if you do come into a counteroffer situation, there’s lots of information on the internet about what are the pros and cons, so certainly people might think we’re biased giving advice on why you should not take a counteroffer, because we have a fee associated with you taking the job through us. That’s why I always say you can find all of the third party information you want online, that’s gonna be unbiased and tell you what to expect if you do take the counteroffer. Typically most people that do, are looking again within six to 12 months. It really kind of changes the dynamics of your relationship there. The biggest thing in my mind is if you think about it ahead of time, before we get to a counter situation, really focus on why are you considering making a change, because if it’s just about money, or it’s just about specific projects, or things like that. If you can have that conversation with your employer ahead of time, and say hey, here’s what I bring to the table. Here’s what I feel I’m valued at. Is there any way that we can do an increase, or is there any way that I can get onto these projects that are really interesting to me. That way you know when there’s not another offer on the table how they’re going to actually react and respond. Does that make sense? Bob the CPA: Absolutely, so a lot of the advice that I see on the internet, not necessarily from people who have even done this before, but are just trying to be helpful, is go get another offer, and then you can negotiate harder with your boss. Is that something you would recommend? Beth Weir: I definitely do not recommend that. Again, because if you think about the way that’s going to change the dynamic, and then you’re putting them in a position where they have to pay you more if they want to keep you. Wouldn’t you rather know that they value you, and they want to keep you, instead of putting them in that position. Bob the CPA: Yeah, absolutely, absolutely. I think a lot of people are just afraid to have that conversation. Is there any way you recommend they bring that up with their boss? Beth Weir: Yes, absolutely. I get it. You don’t want to put yourself in a position where they say no, and they show you the door. I mean you kind of have to understand and evaluate what’s your relationship like with the people that you’re working for. If you have a good professional open communication with your current employer, I think it’s easier to have this type of a conversation. Again, you don’t want to put it in an ultimatum type of a discussion. I think a lot of people have to understand that in your career, and in moving up, and getting more money, things like that, you really have to ask for what you want. I think that, that’s something again that’s probably scary. I know I work with a lot of people that are earlier in their career, and that seems to be harder at that standpoint. Especially in public accounting, for whatever reason, people are nervous that they’re going to be shown the door. If they are looking for another opportunity and somebody finds out, or they’re not seeing the things they want to see in their current career. It’s really a matter of being able to have a professional, open discussion with that person. Again, evaluating what your relationship is with that person, and if there’s trust and professionalism there, then I think it’s an easier conversation. I mean you don’t have to put it in the context of if you don’t give me what I want, then I’m going to be looking for something else. You can just have an honest discussion with that person, and say hey, I’m really interested in these types of projects. Obviously those are easier conversations than asking for more money. When it comes to asking for a raise, you really have to understand what’s the business case behind it. I get that if you have an offer on the table, it’s kind of showing, here’s my market value. Here’s what someone else believes me to be worth, so if you value me at that same amount, give me that dollar amount, and then I’ll stay with you. I think if you can find the market information that backs up what you are worth, if it is really off base from what you’re making currently, I think that’s an easier discussion again. I think what’s more important as I kind of take a step back here is in my mind, if you’re doing something that you enjoy and you feel passionate about, that’s more important than the money. If you’re looking to make a change for reasons other than money, probably that company offering you a counteroffer is not going to make you feel satisfied in your current role. Bob the CPA: That’s a great point. That’s a great way to look at it. I always tell people, especially in the first 10, 15 years of your career, experience and learning is so much more important than an extra couple grand. It’s always shocking when people are like, well they gave me an extra $1,000 this year. I’m like, well you might have just stepped over a dollar to pick up a penny there buddy. Beth Weir: Well, and that’s something too that I talk with people a lot, is looking at if you take $5,000, and you take out what the tax amount is going to be, and then you spread that out over 12 months, or even 26 pay periods, is that different, that couple hundred dollars per month, or whatever it comes out to be, really worth taking a job that maybe is more hours, not the opportunity, learning, and growth, and development that you want, versus staying somewhere that is providing you those opportunities for a little bit less money. Bob the CPA: No that makes sense. I guess you’re saying basically, you think about the entire package of why you’re switching, and what you have currently versus what you could have, including the work environment, the boss, the commute, versus just looking at the dollar amount. Beth Weir: Exactly, exactly, because most of the folks that we work with on a day-to-day basis, they’re not making a change just because the money isn’t right. Bob the CPA: Let’s say you went through this whole process. Maybe someone thought they were ready to go, and now they got the offer, they told their boss, and they just got a counteroffer that maybe the boss says they’ll be nicer from now on, or maybe it’s a pay increase, or some other concession, what advice to you give your candidates in that situation now that they’re in it? Beth Weir: Again, you really have to do the analysis of why were you looking to make a change, do the things that they promise? Are the things that they’re promising really going to happen? If they didn’t change anything about the environment, or where you’re working, or the opportunities that you’re on, you’re just getting more money. The likelihood of you looking to make a change in the future again, is relatively high. The most important thing to consider is, whatever that counter is, do you really feel that, that meets the needs of why you were considering making a change. If it does, and you think this truly is the right opportunity for me. This is the amount of money that I want to be making, and all of those things are right, then maybe the counteroffer is the right answer. Typically what I’ve seen, it’s not going to change all of the things that would make you consider making a change. Again, it puts the employer in a interesting situation where if you weren’t leaving, would those things have changed for you? If the environment wasn’t right, or you’re not on the right project, things like that. Those are the things that I always say, think about it that way. At the end of the day, if it’s the right answer for you to accept the counteroffer then that’s what you should do. Bob the CPA: All right, so is there anything I haven’t asked you about counteroffers that you want to make sure everybody knows? Beth Weir: I feel like I’ve said the same thing a couple of times. Bob the CPA: That’s fair enough. Beth Weir: No, I think really the most important thing is evaluating. If you take money off the table, really evaluating, if you’re in the right spot for your career goals and development, and really that you feel passionate about what you’re doing, because that’s more important than the money anyway. What we talk about a lot of times is if you find the right opportunity, where you do feel challenged, and you do feel passionate, then the money’s going to follow. Bob the CPA: If somebody is in the Milwaukee area, or surrounding. I guess you guys cover a lot of area up there, what would be the best way to get ahold of you if they are a financial and accounting professional looking for, maybe they’re going to make a move, or maybe they’re just trying to figure out more information about whether a move is right for them. Beth Weir: Yeah, absolutely. I am available over the phone or email. I also have a LinkedIn page, so any of those ways are great ways to reach out. Bob the CPA: All right, and we’ll include that information in the show notes for this episode. Beth, thank you so much for coming on the show. I really appreciate you helping us learn a little bit more about counter-offers today. Beth Weir: Yeah, thanks for having me. Bob the CPA: Thanks again to Beth for coming on the show. You can connect with Beth and find links to everything we just talked about in the show notes for this episode, at Abacusshow.com/208. Thanks for listening. If you’re new to the show you can catch up on all of our past episodes, and get access to tons of training courses, cheat sheets, articles and downloads by visiting Abacushow.com. Over the summer I had the good fortune to meet a few members of the team over at Baker Tilly Search & Staffing, and one of the topics that came up was counter offers. So I asked Beth if she’d be willing to come on the show and help us better understand what a counter offer is, and when, if ever, it’s a good idea to take the counter offer.